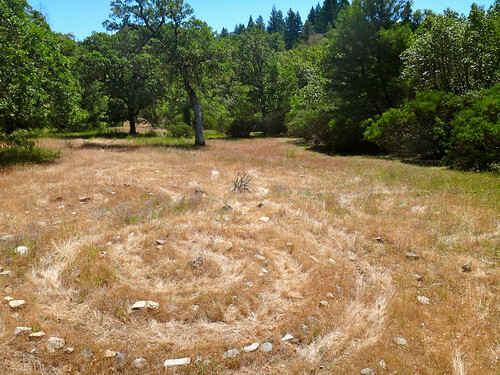 I wrote about our process for building a labyrinth here a few weeks ago and I just returned from visiting it so I thought I would do an update. I could barely remember where it was and after four years of neglect I was worried that the stones would have shifted so the whole thing would be unrecognizable. Not to worry! It was obscured by tall grass but it was definitely all still there with minimal shifting of stones. 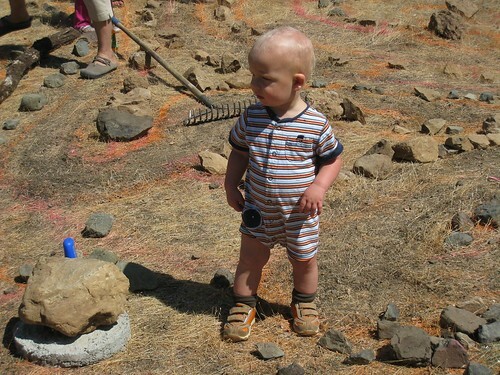 And here is my cute son who was 1 year old at the time. Mr. Helpy! 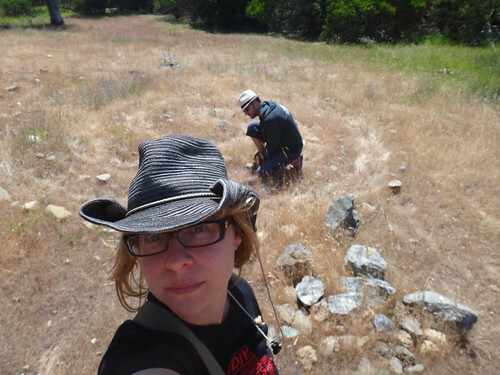 T and I started trampling the grass down and shifting stones back into place. one of the spiral arms remains a tad confused but it can be fixed later. Here we are so you can get an idea of the scale. Each spiral arm is about 14-16 feet across. 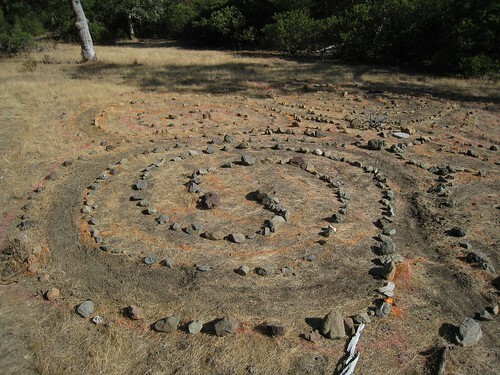 I highly recommend a labyrinth for backyards or play areas. They are cheap material-wise, if not labor wise, to build and can be a great community project and they require very little to no maintenance. Not only do they have great scope for the imagination for kids but adults love them too.